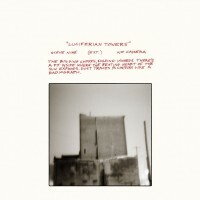 Luciferian Towers comes in a gatefold jacket printed on uncoated paperboard with a printed inner dust sleeve and a 24"x24" pull-out poster that re-caps all four of the artwork panels created by Godspeed You! 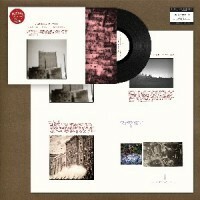 Black Emperor for the gatefold jacket. Once again, I heard the announcement, got excited and (not so patiently) waited. I guess I should be grateful that the time between announcement and release is exponentially smaller with most of Constellation's releases, this one even more so. Godspeed You! Black Emperor have returned for the first time since 2015's 'Asunder, Sweet And Other Distress' with the monolithic behemoth that is 'Luciferian Towers'. From the very first moments of 'Undoing A Luciferian Towers' we get the richly evocative post-apocalyptic tremolo they've become so well known for, which slowly and purposefully grows, turning and writhing into a twisted mass of spine-tingling euphoria and tentative glimmers of light. I'm not entirely sure how reasonably simple chord changes can become such overwhelming tectonic shifts, but the evidence is plain for all to see, all encompassing darkness takes it's hold before bursting out into a repeated melodic refrain, soaring above the unearthly drone. As we move into the spellbinding trio of 'Bosses Hang' (parts 1-3) we start with a shuddering violin double-stop, shortly joined by a powerfully distorted, soaring single-note guitar riff, rising into a cataclysmic chaos that only GYBE can achieve. It is both meditative and overwhelming, and a whole world of contrasting adjectives reserved for bands that deserve them. Part two once again takes this quiet-loud formula but swaps out the reasonably lucid quiet section for a more unwieldy bowed maelstrom, keeping the soaring crescendo constrained within the confines of atonal chaos. Once again, a testament to the balance required to keep up this sort of fine-tuning of musicality and disarray, whilst retaining the spine-tingling highs of which we've become so fond. Fam_Famine once again hints at the repeated phrase suggested throughout this whole collection, with swells of string pushing through the fragmented patchwork of simmering drone below, glimmering glimpses of hope in an otherwise damned existence, acting as a superb counterpoint to the resolutely melancholic and stunningly beautiful closer of 'Anthem For No State'. Soaring tremolo weighted by off-kilter melodic bursts remind me in no small way of the (admittedly less frequent) glimpses of sunshine in 'Sings Reign Rebuilder', brought to earth with the static hum of the stunning Hiss Tracts LP, 'Shortwave Nights'. Comparing GY!BE to anyone else is in essence, fruitless. This is where it came from, and this is a concise and spine-tingling distillation of everything Godspeed ever were, and have recently become. It's a breathtaking and transportative wonder, brimming with melody, but balanced with an unmistakeable experimentation that only GY!BE can pull off. Stunner. Godspeed You! Black Emperor'ALLELUJAH! DON'T BEND! ASCEND!